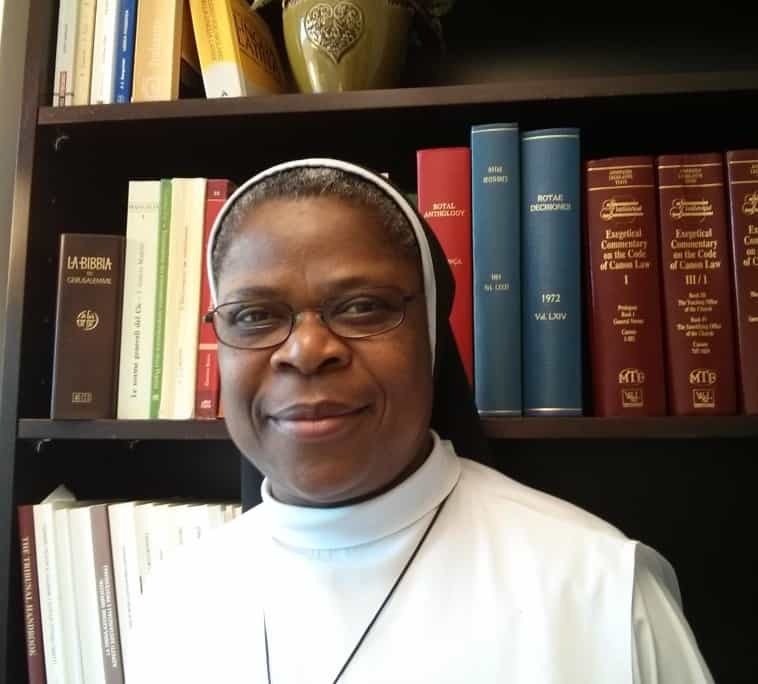 Sister Francisca Igweilo, O.P., J.C.L. Sister Francisca made her first religious profession in the Dominican Order 25 years ago. She served the Order both at the local and international levels before proceeding to St. Paul University, Ottawa, Canada for her license in Canon Law. She is currently the Defender of the Bond at the Metropolitan Tribunal of the Archdiocese of Denver. The Defender of the Bond is a canon lawyer who is duty-bound, in each marriage nullity case, to propose any reasonable evidence or arguments that would support the validity of marriage. She has the right to appeal cases in which the nullity of marriage is not proven sufficiently.